Says one literature I once read. But looking at you, I would say that you always display exceptional enthusiasm in your studies. Though some issues on bullying and cheating surfaced by the end of the second quarter, those did not demoralize and dishearten you. As your subject teachers would describe, you always excel in classroom discussions and examinations. You are even best remembered as the courteous student who would prefer to read books during breaks and recess. You do not need to pretend. You always act very naturally! Thank you, our dearest Second son, for giving much attention to your studies. We may not be that rich to buy all we could wish and desire, but you always make me feel so blessed! With all your patience and hard work, you truly deserve the top one post. And with such efforts, I am confident that you will go places. Keep up the good work and may you never tire to learn and be yourself. A perfect companion to what you are currently reading — The Heroes of Olympus. 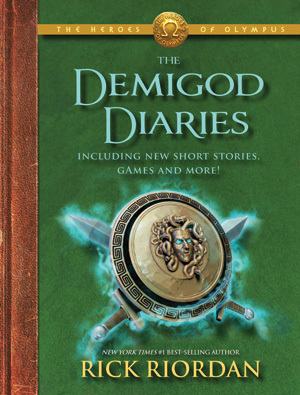 Got this book set for you though we are still three books short for your Heroes of Olympus collection. 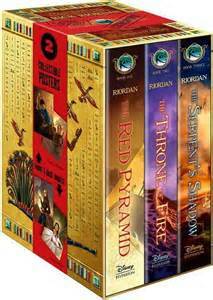 May you enjoy the adventures of Kane against the mythical forces of ancient Egypt through this book set. Mama loves you very much, my Second son. Some may have tangible wealth untold; I have a son who makes me proud–always. Exactly what inspired our Big Bunso to look into his shortcomings and prove to his parents and those people around him that he can go beyond and make history. He placed sixth in class last quarter. He did not like that. He spent extra time reading his books and practicing cursive. He spent more time doing his assignments and reviewing his lessons even if there were no scheduled exams. His failure to make it on the top five might have haunted him and taught him well. It was his stepping stone to wisdom. We went to the school yesterday, and Big Bunso was jubilant. 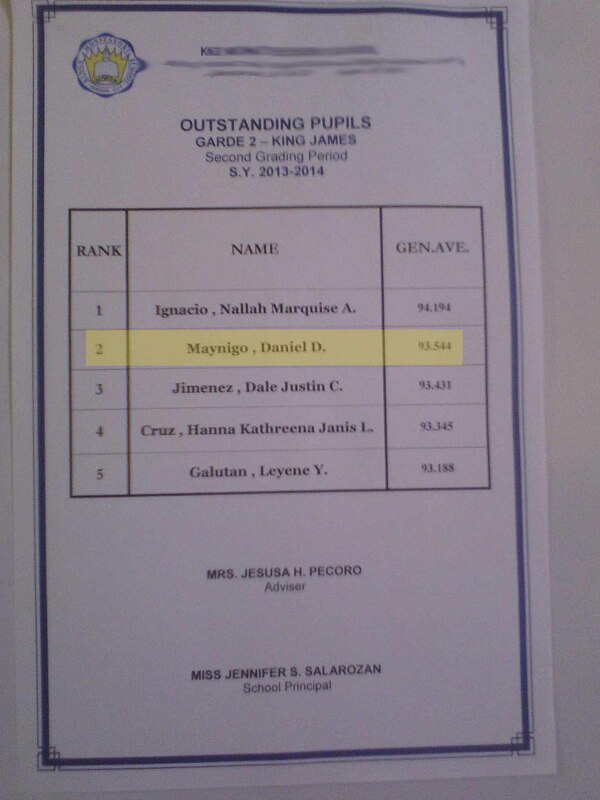 He saw his name on the outstanding pupil’s list. He worked hard for it. It might be just a simple class standing for others, but Big Bunso’s attitude on failures and successes is such an inspiration. At a very young age, our seven-year-old boy knows what he wants and knows how to get it. And to you, our dearest Big Bunso, you have proven to us your wit and superb thinking way back. It is your bravery to accept your shortcomings and your guts to move ahead that place you to where you are now. And just like your kuyas, you will go places. Expect mama to bring you lots of Nova 🙂 And you could ask for more because I just love you very much. We are all ready to celebrate a major victory. 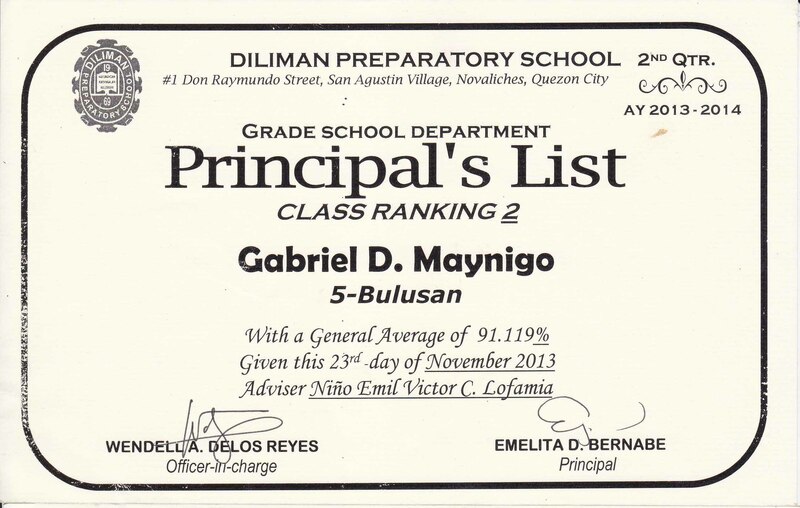 For the first time since his stay in his school, Firstborn has earned his place on the principal’s list. At Firstborn’s school, to be on the Principal’s List means each school kid has attained an average of 91+ using certain criteria given by the school. Firstborn has shown vast improvement in his studies. A reason that added up to his success may be was his dedication and enthusiasm in our study session every night. 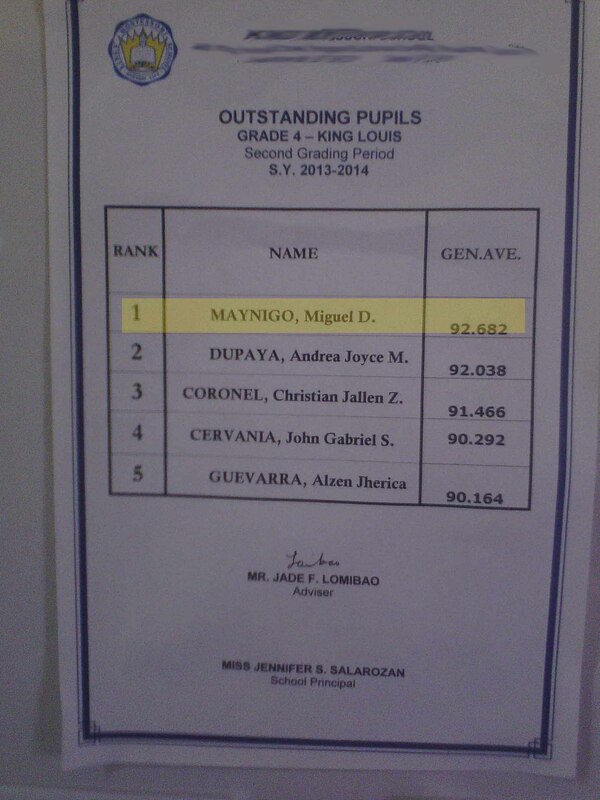 From an average of 88 % last quarter, he jumped to rank two with a general average of 91.119%. He is making progress in almost all academic areas. Though he is having some difficulty with Language, he has high potential to see improvement soon if he would all the more continue to study hard. The way he deports himself also is something we need to discuss. I met his Civics and Culture teacher, and she commended my son’s great enthusiasm for learning. She told me that firstborn would speak his mind, in a very courteous manner, should he wants to clarify or ask something. He is grade 5’s best in Civics and Culture for the second quarter. Of all the good things happening to firstborn, what I am most grateful for is his initiative to keep his classroom table clean. Before, he got a great heap of a mess inside his basket. Now, his desk is one of the neatest tables inside the classroom. 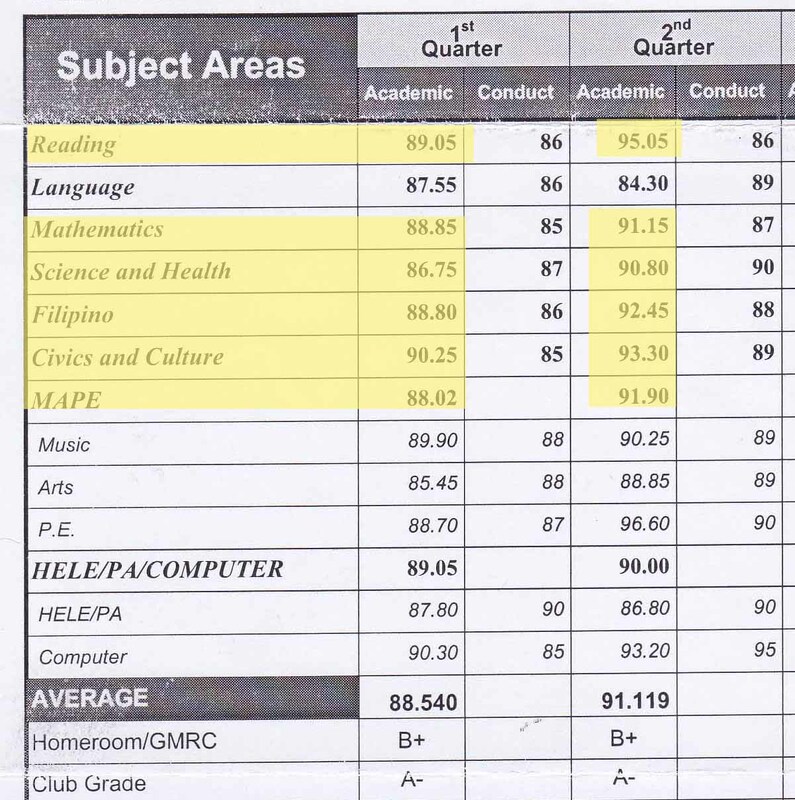 Though it might have taken years of hardworking pleas and sometimes harsh criticisms to reach such achievement, I am very happy that firstborn is growing to be a responsible young man. Even at home, I could always count on him to help me with the household chores. I may say that as parents, we are always responsible for guiding our children through our encouragement and clear signs of what we expect from them. These encouragements though would be futile if we never allow them to be heard and voice out as well their wants and ideas. So to my dear firstborn, your mama is trying her very best to be the loving and supportive mother to all three of you. I am trying very hard not to be overly critical and avoid inconsistency because it has always been my prayer that you grow up not undervaluing yourselves. Firstborn, you have the potential to fly and go places. And I am here, beneath your wings.